The Downtown Dayton Partnership has received recognition lately for its staff and individual employees. 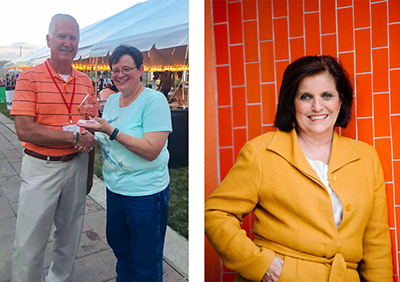 Congratulations to Tina McKenna-Gilley, operations manager for the Downtown Ambassadors, who was given the Local Impact Award for the Great Lakes Region at the annual Block by Block conference. Need assistance from the Ambassadors? Call (937) 224-4DDP. Locally, the Dayton Business Journal named DDP President Sandy Gudorf to its Bizwomen Power 50 List, and the entire organization was nominated as a finalist for the DBJ‘s Nonprofit of the Year award. The DDP and its employees are happy to serve constituents in downtown Dayton’s Special Improvement District.